I had never really heard or thought about snowboarding until I moved to England a few years ago. I thought it was one of those fancy Olympic sports that only rich athletes could afford to do. I managed to persuade him to answer some questions which I found on various websites across the internet (thanks internet) and some that I made up myself! 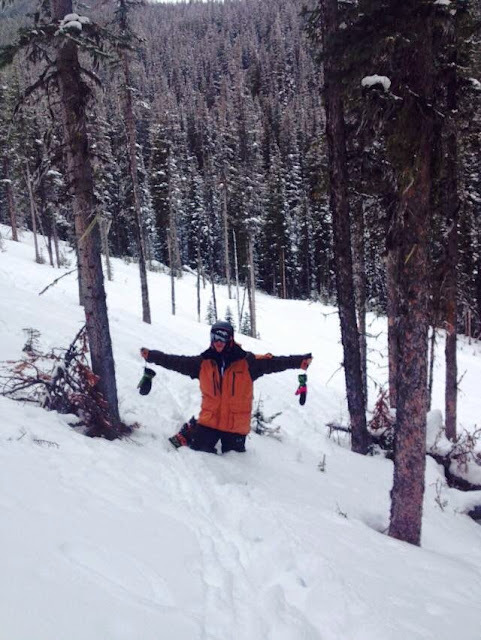 Dave (the snowboarder I'm questioning) is currently in Canada living on the side of a mountain teaching various people how to ski and snowboard - so for a moment - let's all be very jealous! Question 1: How long have you been riding and what got you into it? Nearly 6 years. I've always wanted to do it since I was young and never got the chance. In 2009 I went to Finland and had a Ski lesson which was okay but I still wanted to snowboard. 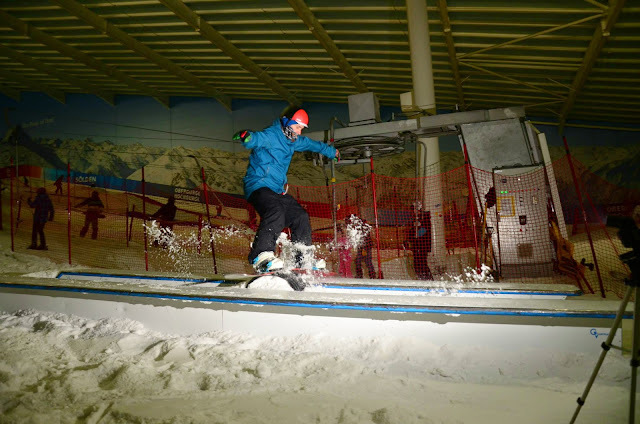 The dry-ski slope in Hemel Hempstead (where he lives) was being turned into an indoor real slope and that motivated me to start to learn to snowboard. 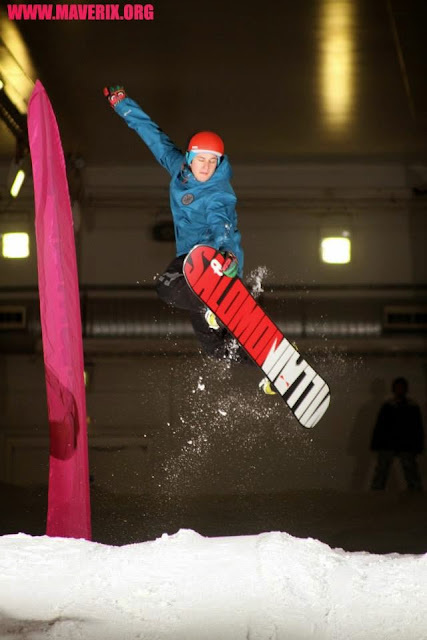 Question 2: Out of all the snowboards you own - which you prefer and why? I have at the moment 7 snowboards. I don't have a favourite one - I have two! Number 1 is my Salomon Villain snowboard. I tried this on a Spring Break Snowboard test and absolutely loved it. It could hold up on the mountain, go fast and was still really fun to play about on. Number 2 is my Ride DH. I love this board as I did my Level 2 Instructor training and exam on it and passed. I did 3 months on it and the thing is indestructible and is still going strong now. It's extremely fast and can do just about anything and handle anything I throw at it. 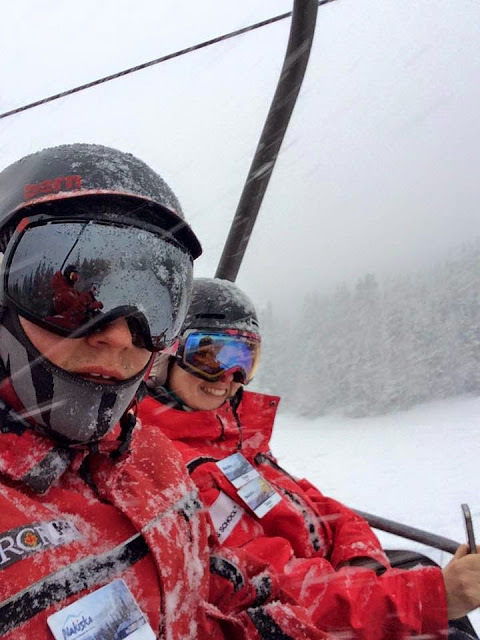 Question 3: You are a dual-qualified instructor but which do you prefer to teach: snowboarding or skiing? I prefer teaching snowboarding. I can teach skiing but I don't have the same passion for this as I do for snowboarding however I do enjoy teaching both. 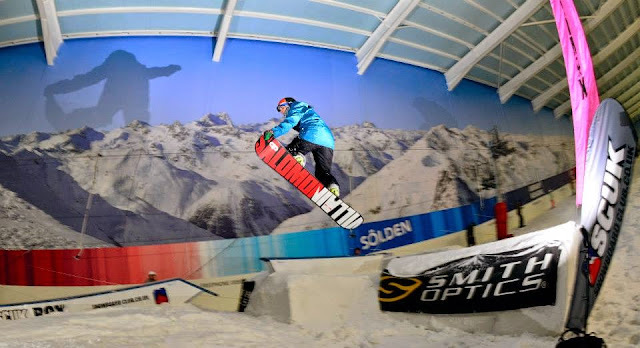 Question 4: What has snowboarding taught you? Very touch question. I feel it has taught me to go out and enjoy the outdoors and mountains by yourself and with friends. Also it has taught me to appreciate what is out there and make the most of it. I feel free and have a clear mind when snowboarding and there is only a few things apart from snowboarding that make me feel that way. 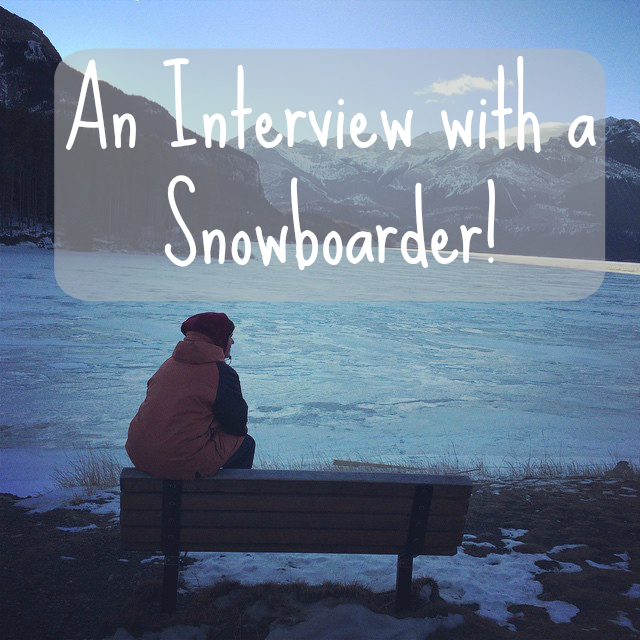 Question 5: Have you ever met any famous snowboarders or skiers? Yes I've met a couple. I have met Stevie Bell, Aaron Bittner, Marc Frank Montoya and Marko Grilc. They were at a local Bulgarian bar when I was in Bansko. Favourite place so far is definitely Canada. Even though we are a bit low on snow it doesn't compare to anywhere in Europe. The resorts are so much nicer, staff are friendlier and the terrain available is incredible. Currently I am using 2 snowboards as I bought one out in Canada along with a new pair of bindings. Setup 1 is my Solomon Villain with some Salomon District Bindings on. This is my playful freestyle board which is extremely fun, however I can use it all over the mountain. Setup 2 is my all mountain setup which is new this season and is a Ride Helix 153cm with Burton Malavita Bindings in Duck Camo. I can use this all over but it is better for some off piste, fresh powder, going fast and carving. Question 8: What do you enjoy most about teaching? As I love snowboarding - I want to try and pass on that love and passion onto other people by helping them get into the sport to see how much fun it can be especially with friends. Also it's great exercise and you get to work outdoors and get paid to do something you love. Question 9: What is your advice to anyone who hasn't tried snowboarding? DO IT! If in the UK go to your local dome or nearest resort and get booked onto a lesson - you won't regret it. Snowboarding ruined my life! Let it ruin yours too! In short - once you are hooked you are in for life! If you have any other questions I've missed then please do leave a comment and I'll pester him further!